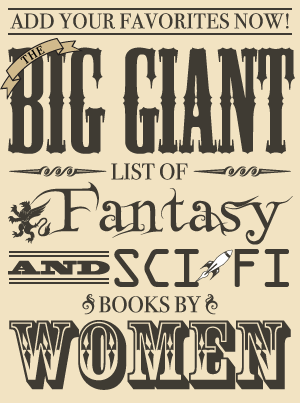 Books of 2013 is a feature for highlighting books coming out this year that sound interesting. Today’s featured book is the upcoming anthology Once Upon a Time: New Fairy Tales edited by Paula Guran. I actually hadn’t heard anything about this book until I got one of those emails from Amazon trying to get me to buy something. Normally I disregard those emails, but this time I looked at it because the subject “New from Tanith Lee” caught my eye. I hadn’t heard anything about a new book by her so I was curious and opened the email to see what it was about. While the book isn’t actually written by Tanith Lee, it contains one of her short stories, and I was immediately intrigued by it. I LOVE retold fairy tales, plus this book contains short stories by both authors whose work I’ve been wanting to read and some authors who have written books I really enjoyed (such as Cinda Williams Chima, Ekaterina Sedia, and Jane Yolen). 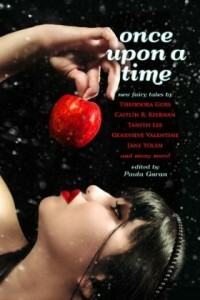 Once Upon a Time: New Fairy Tales will be available in October.